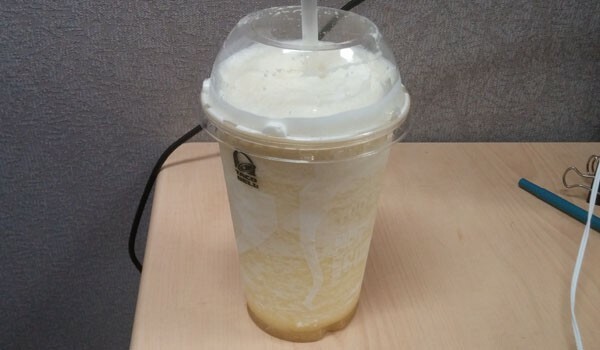 I picked up the Taco Bell Snapple Lemonade Freeze, which is the latest freeze flavor that has become extremely popular at Taco Bell. 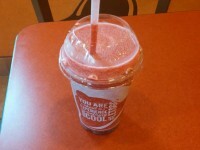 I got a regular sized version for just $1.00 in the Taco Bell app. The very first thing I noticed is how sour it is, like “face-clenching” sour. 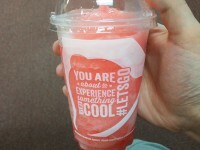 You’ll love this drink if you like sour drinks, and it is totally opposite of the Starburst Strawberry Freeze. The texture is great. It isn’t too soft that it melts easily, but it isn’t too frozen either that you could drink out the flavor and be left with ice. 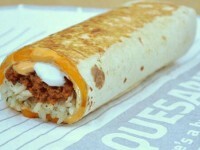 Overall, I’m a big fan of Taco Bell’s freeze flavors, but this one might be too sour for me. Lately I have been experimenting with mixing freeze flavors, and if sour isn’t for you either, then this would be a great candidate for mixing with either the super sweet Starburst Strawberry, or the less sour Baja Blast. If you want to mix freeze flavors, just ask when you place your order, or just released today, you can order combo freeze flavors inside the Taco Bell app. It is sad to see the Dr Pepper Vanilla Freeze go, but the lemonade flavor will bring a great addition in preparation for summer.